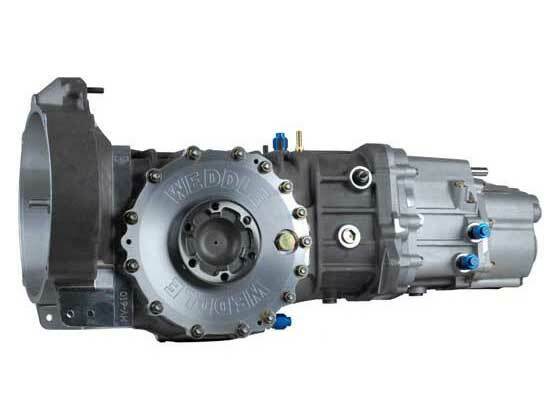 Home » Products » New Products » The NEW Weddle HV25 Transaxle is Here! The NEW Weddle HV25 Transaxle is Here! NEW bigger, stronger, next generation Weddle 5-speed. We put 30 years of industry experience and insight into the original Weddle HV1. After countless hours of development, we are proud to introduce the next generation Weddle HV2 transaxles. We took the proven performance of the HV1 and beefed it up to meet the demands of bigger tires, bigger engines, and better suspension. In addition to wider gears and larger bearings, the next generation Weddle HV2 gearboxes feature a completely redesigned shift mechanism, extra bearing supports, and a larger input shaft/mainshaft combination. Also available, the 4-speed Weddle HV24. Questions? Call 805 562 8600 or email us .